The Supreme Court has admitted Anil Ambani promoted Reliance Infrastructure's (RInfra) special leave petition challenging a Delhi High Court order which set aside an arbitral award for the Airport Metro project, the company said in its statement. 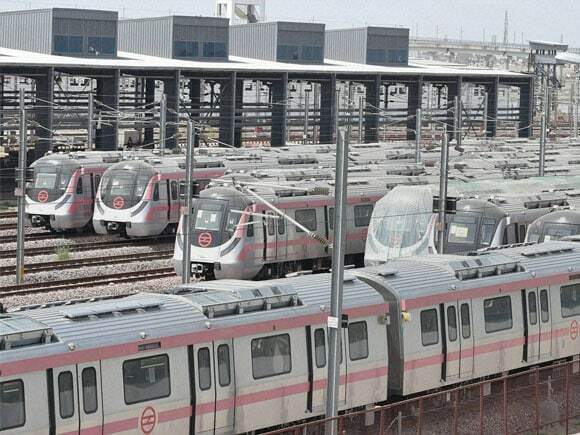 "The Hon’ble Supreme Court has entertained the Special Leave Petition (SLP) filed by Reliance Infrastructure's special purpose vehicle Delhi Airport Metro Express Pvt Ltd (DAMEPL) challenging the judgement of Hon’ble Division Bench of Delhi High Court, which set aside the over Rs 5,800 crore arbitral award won by DAMEPL against DMRC," Reliance Infra said in its statement on Monday. DMRC is Delhi Metro Rail Corporation. The Supreme Court has also asked DMRC to explain why it should not continue servicing the debt taken for the Airport metro express project. "The Hon’ble Supreme Court has issued notice to DMRC in the SLP. A short notice was also issued to DMRC on DAMEPL's plea for interim relief, so that DMRC continues to service the debt of DAMEPL pending the disposal of SLP by the Hon’ble Supreme Court," Reliance Infra said in its statement. DAMEPL was formed to develop the Airport metro project, which the company later terminated its concession agreement for. DAEMPL later claimed the Rs 5800 crore arbitration award as termination compensation for the project. DAMEPL had filed the petition with the Supreme Court after a Division Bench of the Hon’ble Delhi High Court had set aside an order of the Single Judge Bench of Hon’ble Delhi High Court upholding the over Rs. 5,800 crore arbitral award in favour of DAMEPL against DMRC.